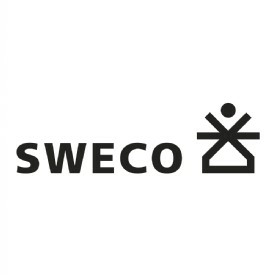 Sweco is an engineering company, active in the fields of construction, architecture, and environmental engineering. Failure to address carbon emissions at the earliest project design stages can significantly hamper efforts to reduce their environmental impact, as the choices available to the delivery team diminish as the project progresses. This principle underpinned the delivery of Renfrewshire Council’s £130m infrastructure Glasgow Airport Investment Area (GAIA) and Clyde Waterfront and Renfrew Riverside (CWRR) City Deal Projects. Part of the £1.13bn Glasgow City Region City Deal, the projects are designed to open up new pockets of development and encourage investment in the area. 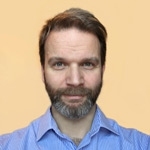 A key goal of both schemes is to create high-quality green travel routes that promote active travel and better connect existing transport systems. Careful planning in the earliest stages meant carbon accounting was built into the process from the project’s inception, meaning the scheme’s overall carbon impact was cut by more than 35%, compared with an initial baseline assessment. Further savings of over 20% are expected through the incorporation of carbon reduction into the procurement process. So how have these impressive savings been made? The Renfrewshire projects carry useful learnings that can be easily applied to similar schemes. Each was informed by the guidelines of Publicly Available Specification (PAS) 2080: Carbon Management in Infrastructure, a framework developed in response to the Treasury’s Infrastructure Carbon Review in 2018. Informing industry best practice in managing whole-life carbon, its guidance can steer the decision-making process throughout the design and planning of any infrastructure project. For the CWRR scheme, an early traffic modelling analysis pulled data on the speed and distance travelled by vehicles crossing a new bridge over the River Clyde. Converted into carbon data, this identified immediate improvements to be made in terms of air quality, emission reduction and congestion mitigation. But the findings also influenced the final design to help make the project resilient to future climate change. Using the latest Met Office projections, early-stage research was adapted to model likely future climate trends, informing design changes to ensure project resilience.